1. The impression I had going into the week — and even into Tuesday — was that if a change was going to be made, it wouldn’t be on Lucia’s terms. The tenor of Tuesday’s news conference, though, felt like this was at least mostly his decision. Lucia, who will turn 60 this summer, seemed very much at peace with leaving the program. 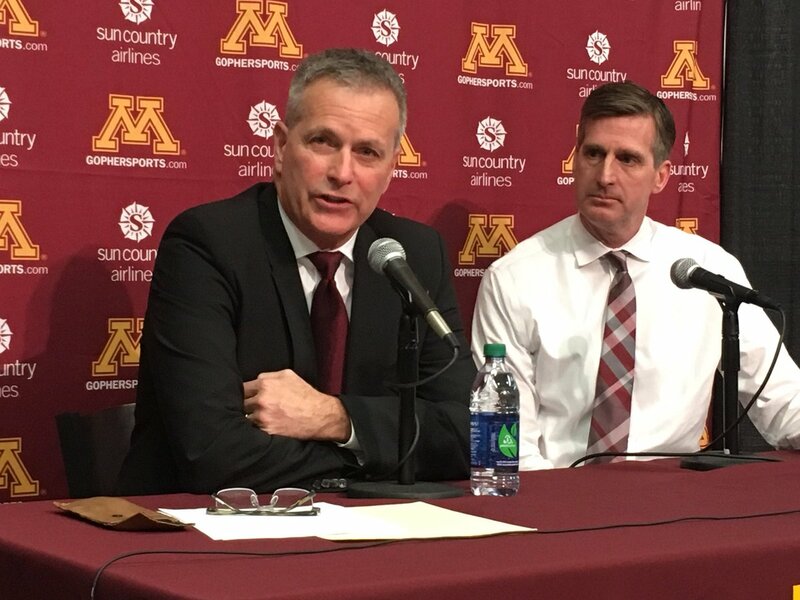 That’s not to say the Gophers’ recent stumbles — including improbably missing the NCAA tournament this season — didn’t factor into any of the conversations he had with athletic director Mark Coyle. But Lucia was remarkably upbeat and gracious — like a man who understood that for his own good, and perhaps the good of the program he has led for nearly two decades, a change was for the best. He even thanked his critics during a long introductory statement. “Somebody else should have an opportunity, too,” Lucia said. Though he will stay on in a special assistant capacity through the end of his contract in 2019, it sounds like this will be Lucia’s last head coaching job. 2. Along those same lines, Lucia said he’s been thinking about the end of his coaching tenure for a couple of years. He stressed that missing the NCAA tournament had nothing to do with the decision to leave, though he did say he wished he was at an NCAA tournament press conference this week instead of this one. 3. Lucia said that he almost took another job about a decade ago, but that the timing wasn’t right. I told Lucia after the presser that everyone wants to know where he almost went. He didn’t say, but he said, “You can probably figure it out.” I mentioned the vacancy at his alma mater, Notre Dame, in 2005 but he wouldn’t bite. 4 Lucia was asked about the downturn in interest and attendance surrounding the Gophers men’s hockey program in recent years. “I think it was a little bit of a perfect storm of priority seating at the same time of moving to the Big Ten,” he said, though he also added that fans need to embrace Big Ten hockey even though there has been a great deal of angst about it. 5 Both Lucia and Coyle were naturally asked about Lucia’s successor as head coach.